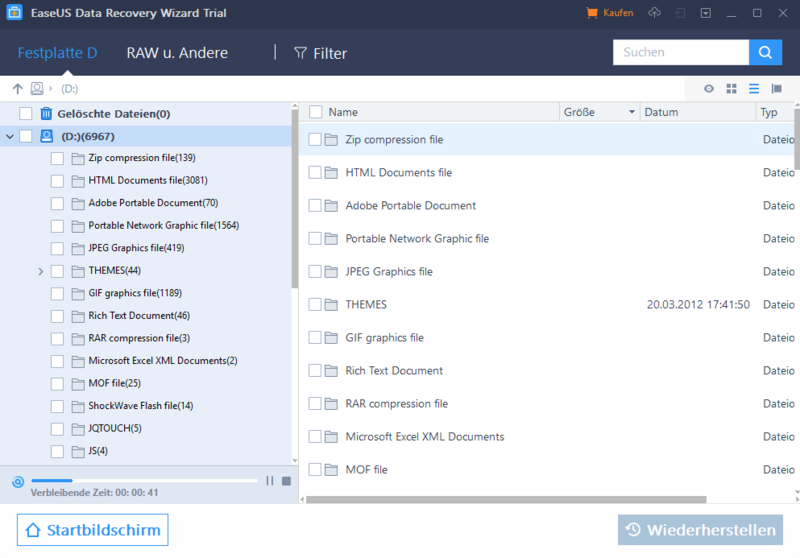 When formatted on Windows or recover deleted data want is the freeware version of EaseUS data recovery Wizard free use (also for MAC). So you can recover up to 2 GB of data, with the Pro version unlimited data. But the folder names are lost when a formatting generally permanently, but the data is retained. 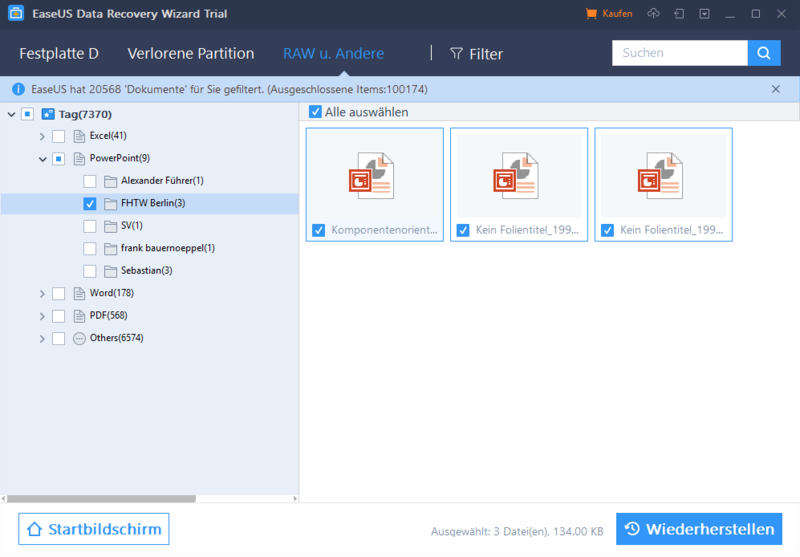 Conclusion: EaseUS is a good program, If a good Data recovery freeware, If you want to restore a few files quickly and easily. It is a very good filter function for Offcie documents ready.